Needlecraft heaven, Backstitch is a bright and inspiring fabric and haberdashery store where sewing machines hum and stitchers chitter chatter. Alice Synge opened the doors to her Burwash Manor haberdashery in March 2014 after trading successfully online since 2010. The Burwash shop has now become a honeypot for local crafters seeking stylish, modern dressmaking and quilt fabric and quality haberdashery. A keen sewer herself, Alice stocks only products she would want to use personally, so the selection has been curated to her modern sense of style, and with keen attention to quality. Both the Burwash shop and the online shop are renowned for their excellent customer service. Friendly and helpful advice is always at hand. 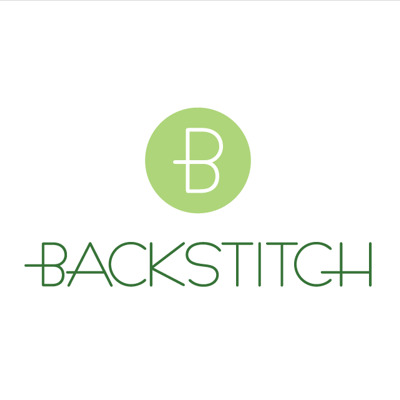 Backstitch has a busy schedule of sewing classes teaching hand and machine stitching, dressmaking, applique, free motion embroidery, smocking, quilting and more, all taught from their light and airy studio space. Remember, you can keep up to date with all Backstitch shenanigans via the blog, twitter, facebook, and all those other social media channels... follow Alice and Backstitch by using the links at the top and bottom of the page.